Arrgh … it’s time to begin planning for Christmas! It happens every year. In fact we can guarantee it. A couple of weeks before Christmas we will get patients who come in and tell us that they want us to produce a beautiful, gleaming white smile for them in time for the busy social season ahead. If it is just a case of a scale and polish or a simple teeth whitening treatment then it may be possible, although some more complex whitening procedures can take between two and three weeks to complete. If creating that beautiful cosmetic smile involves other procedures such as white fillings, dentures, bridges or porcelain veneers for instance, then obviously these can all take time. So speaking to us now, while there is still plenty of time available really does make sense. Very often we find that the key to an attractive cosmetic smile is sound foundation work. This could involve treating a patient for tooth decay or gum disease because if any underlying problems are not resolved, then no matter what cosmetic dentistry procedures we undertake the results will not be satisfactory. We understand that most people really do want to look their best over the Christmas social period and a big part of a beautiful appearance is to have a gleaming, white smile. 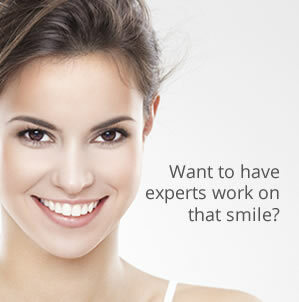 At Carisbrook we are widely recognised as one of the UK’s top cosmetic dentistry specialists and we can offer a wide range of treatments that will create that perfect smile you dream of. We can replace unsightly silver fillings with specially composed white fillings that will match the colour of your natural teeth. As well as replacing existing fillings we can also use white fillings to repair chips in teeth and to smooth off and even up the appearance of your teeth. It’s all part of the perfect smile. If you have any missing teeth that affect your smile there is still time for us to rectify this unsightly blemish by manufacturing custom-made dentures or bridges. We can also discuss the possibility of dental implants that are the nearest thing to having your natural teeth back. You’ll need to speak to us about this quickly though because this procedure does take time. At Carisbrook we can provide a number of teeth whitening treatments (do please remember though that it is illegal – and potentially dangerous – for anyone other than a registered dental professional to administer teeth whitening treatment). Our options include home whitening treatments, plus Enlighten, which is the newest and most successful teeth whitening treatment on the market. We can also offer ZOOM! a sophisticated system that can bleach your teeth in just one hour and achieve results that are up to eight shades lighter than your original teeth colour. Remember, it is very important to discuss with us the best teeth whitening treatment that will be most suitable for your personal requirements. We do have other cosmetic smile options available that include: porcelain veneers along with gum contouring & teeth reshaping. These are more complex procedures however. They take time and you should make an early appointment with us to discuss their suitability. So yes, it may still be early August but it is not too soon to talk to us about how we can help you to achieve the cosmetic smile you will be looking for this Christmas. Right now you can SAVE £100 ON HOME TEETH WHITENING TREATMENT and if you book an appointment now new patients are entitled to a FREE CONSULTATION. But don’t leave it too late. You can call us on 0161 951 7295 or alternatively you can contact us by using the online form on our Appointments page.